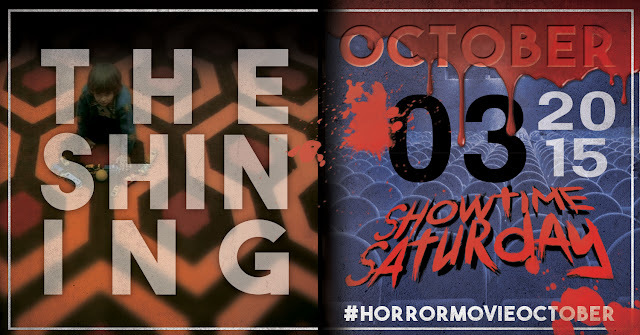 The third installment in the Horror Movie October series for today (just barely) is a Showtime Saturday feature. "The Shining" is not only one of my favorite horror films, but one of my favorite films of all time. The clean crisp genius of Stanley Kubrick's directing combined with the primal raw emotional instincts of Jack Nicholson make for a furious storm waiting to burst through the doors of your perfectly decorated home, and with pounding feet and slamming hands declare that "All work and no play makes Jack a dull boy." Check the trailer then watch the film.